Wow, what a great turn out last week for the first party of the new year! Thanks so much for taking the time to party here. There were so many great links and it is really hard to just share a few so I hope you will look at some of the others for inspiration. 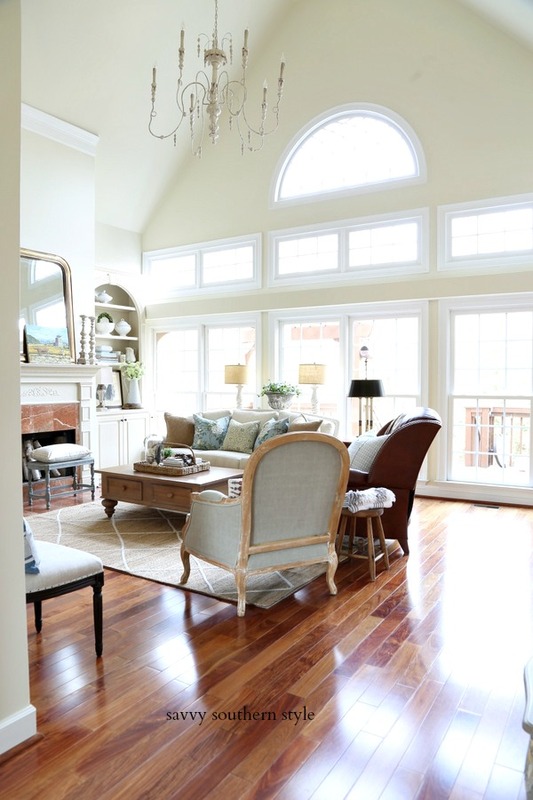 Look at this gorgeous living room. It didn't look like this a few weeks ago. Check it out at Hazardous Design. This couple has been doing amazing work on renovating their home. This is a gorgeous kitchen makeover shared by The Dressing Room. Love those lights. North Shore Days shares how she made this cute bracelet. 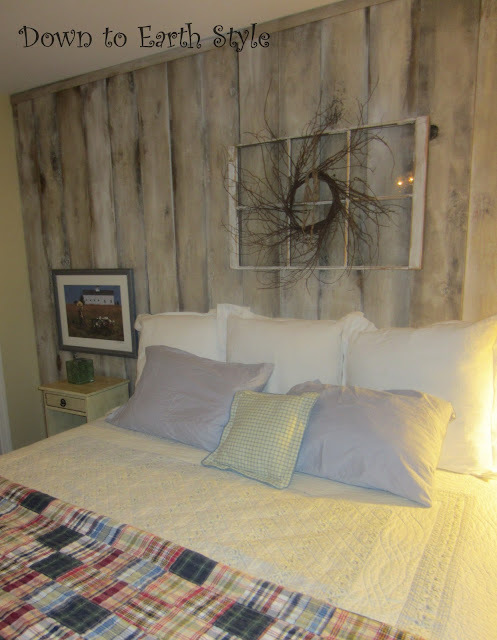 Look at this weathered plank wall in a guest room shared by Down to Earth Style. This German pancake certainly grabbed my attention. Recipe found here. I Could so Make That shares how she recreated Jimmy Choo leather coffee cup sleeves for WAY less than $165 each! 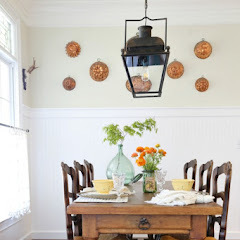 Cute bench makeover shared by It All Started with Paint. Great stuff and there was so much more. If you were featured I hope you will grab a "featured" button from my sidebar. Looking forward to what you have to share this week. I am anxious to see all of the big changes in your lovely home. Thanks for hosting. I love that bench make over -- going over to check it out! I have an old toy box from my kids that would work very well for this project! Terrific features, particularly like the planked wall! My friend's kitchen looks a lot like the feature - fabulous fridge! Thanks for hosting Kim. How are things coming along? I really just can't wait to see your bathroom! Isn't it funny to see the things we have done in the past? I have done a little faux finishing here too, LOL. Still trying to eradicate some of it. Kim, these are such lovely features! Thanks for being such a gracious hostess each week! Always glad to link up! Very inspiring post, Kim. Great featured projects. Can't wait to see tonight's inspiration. Thanks for hosting. All are lovely features, Kim! Thanks so much for hosting! Thanks for hosting, hope you're not working too hard on that bathroom! Kim, your features are great! 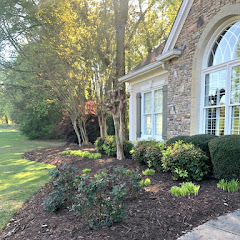 I also love the changes you're making in your gorgeous home! Thanks for hosting this great link party! There are always so many great ideas at your party! Thanks for hosting Kim. Always a pleasure to drop by. Nice feature choices. Just realized you changed your party button, so I am now using the new one. Love Bailey's photo on your sidebar. Thanks for hosting Kim! I wish I had my counter top makeover to share, but it is still drying. Kim, All great projects. Thanks for hosting each week. Thank goodness for a sunny weekend to help me find some motivation!! Thanks for hosting a wonderful party!! Kim, thanks for visiting my new blog! Everyone has been so encouraging! I might try to link to your party, but can you explain the whole "button" thing? Not understanding that part of blogging! Thanks! Thanks so much for linking up and also hosting. I don't know how you do it all! Fabulous features, I'm off to mingle! Thanks for hosting..love your blog and inspiration! So far all the projects look fantastic!! 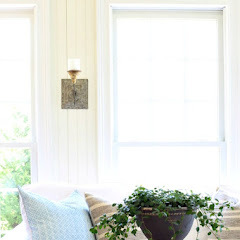 Love that living room makeover! Have a great night! 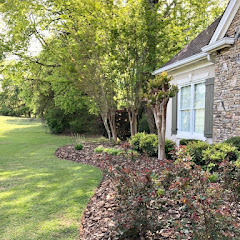 Great features and some blogs that are new to me! Thanks so much for hosting us this week Kim! Thanks for featuring my living room, Kim! Now I'm really excited to be able to link up my butler's pantry. Thanks for hosting, Kim! Loving all of the features. Totally missed that coffee cozy last week! Jimmy Choo leather cup sleeves...? good grief, I'd have that sucker in the trash the first time I used it!!! just linked up, thanks for hosting Kim! Love all the features, but I really like the bench from Linda! Love that cute bracelet! Thanks for hosting. Thanks for hosting! Joining the party today with my post on the King!! Awesome picks! Thanks for hosting today! Kim, all these months I thought I was stalking you ... but I think the tables may have turned this week?!? You are the best. Oh, and has stalker me told you how much I love the blog redesign yet ...? And I just realized I'm a "noreply-comment@blogger" but can't get it to change, despite the fact that I've followed multiple tutorials! Wow Kim...thank you so much for featuring my German Pancake! I so hope you will have the chance to try it! You have such wonderful features this week,I am totally honored for my post to be presented along with them. I am an ardent follower! Wonderful features, Kim! Thanks for another great party! Thanks so much for hosting, Kim! So many interesting links! First time linking to your awesome party- brand new blogger. Sure am enjoying your blog! Look at all these fabulous ideas... Your party is always full of the best inspiration, Kim! Kim - Thank you sooooo much for featuring me this week - Im so excited and honoured that you chose my bracelet. Thank you for following too. what fun to peruse all of these linkups! thanks for yet another wonderful wednesday!!! SOOO many pretty places to visit!!! Thanks so much, Kim. Great features, Kim! I'm happy to be joining in on the fun today! Thank you for hosting! That rug in the first photo is beautiful! Thanks for hosting this each week Kim! 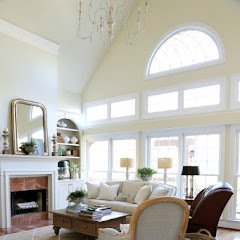 Great features Kim, I LOVE the living room and the kitchen...gorgeous! 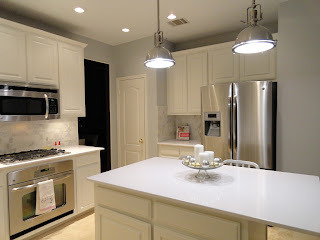 Thanks so much for featuring my kitchen; it made my day! Thanks for hosting Kim. Nice picks, I've read those posts and now on to the linky posts. Lovely rooms. Its good to be back:-) Happy New Year Kim! 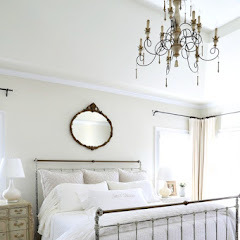 I love that simple twig wreath framed above the bed. Look at all these wonderful links...oh, to have time to read them all! Loving that plank wall and those German pancakes. Yummo! Thanks for hosting Kim!! Hope your home improvements are moving along well. Thanks Kim for another great party! Love the new look, Kim! Thanks for hosting! Thanks for hosting the party! I hope you'll stop by and check out my other things! Great features...love those cup sleeves!! Very cool. Always enjoy your parties. Thanks bunches for hosting. Hope you're having a great week. Thanks for hosting. Wow! Big party! Better late than never! LOL! OH my those German pancakes caused a serious craving lol ;) Thanks for hosting! Once again, thank you for hosting Kim. So much inspiration to indulge in!